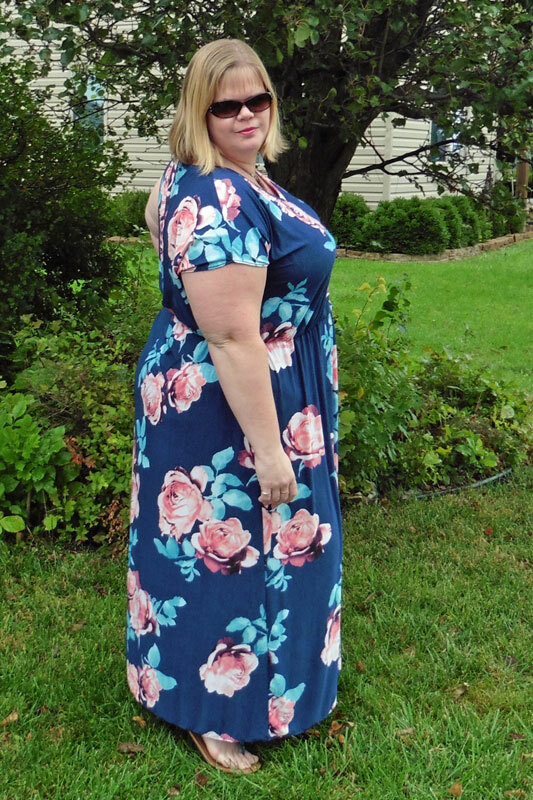 Another Day, Another Maxi Dress – Everything Your Mama Made & More! Back in June, I sewed my first combination of the Boxy Boyfriend Tee and the Women’s California Dress and I said I’d definitely be making another … and I did! 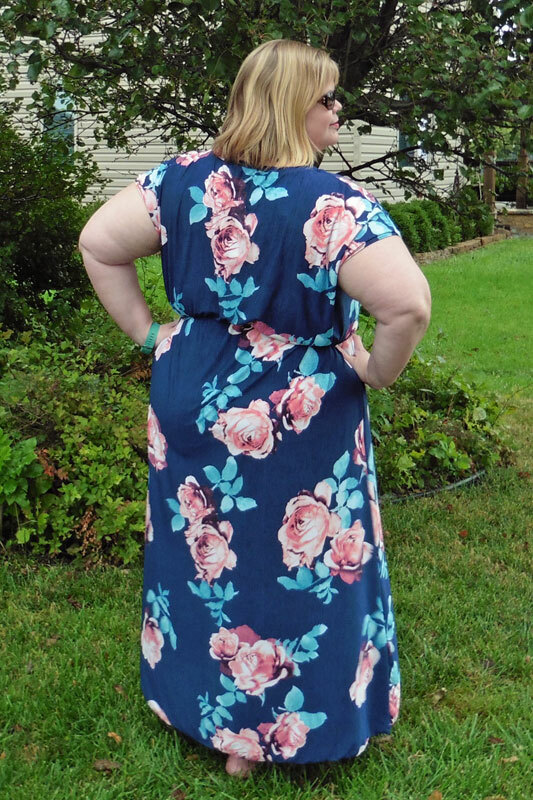 I fell in love with this large rose print ITY fabric from So Sew English and just had to buy it. 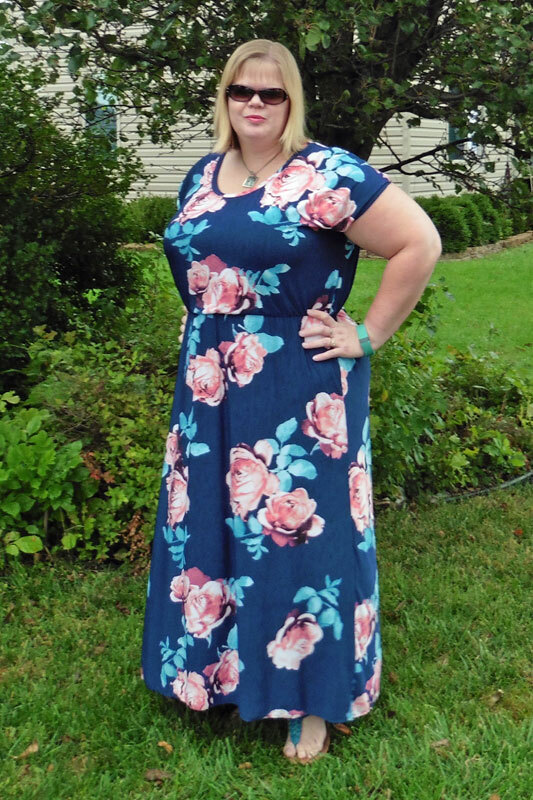 I knew it would make a beautiful maxi dress. 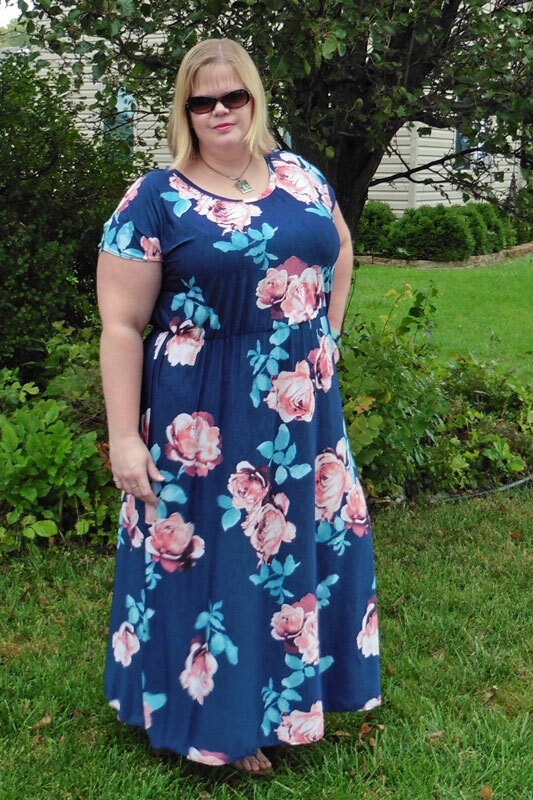 I think the large print compliments the amount of fabric used in a maxi dress and the ITY feels wonderfully light and airy. 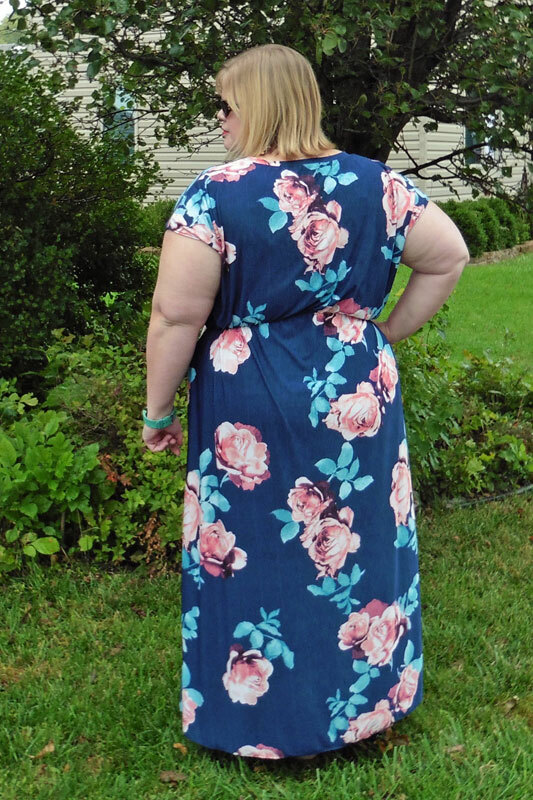 I also think the navy background combined with the lighter colored roses means I get to wear this dress through all the seasons!! As I said above, this is the second time I’ve mashed together the California Dress and the Boxy Boyfriend Tee. I love how quick and easy this mash is to cut and sew! I think it’s quicker than sewing the California Dress as written since I get to skip the bindings in lieu of a neckband and hemmed sleeves. Cutting is also a breeze since I literally laid the Boxy Boyfriend pattern on top of the California Dress pattern with the shoulders aligned and cut around the whole thing. It was so sew easy! Haha!